Opportunity for error exists in everything we do as humans and in every piece of equipment we may use for bc survey. This is especially true in surveying and understating, realizing and dealing with error is an absolute necessity. An error is a difference between a measured or observed value and the “true” value. Every measurement contains some magnitude of the error. Errors are minimized and kept at an acceptable level by an experienced and skilled survey technician, skillful techniques, and using equipment that is appropriately suited to the task at hand, maintained and accurately calibrated. For the purpose of calculating errors, the “true” value of a dimension is determined statistically after multiple measurements have been taken. Natural Errors caused by atmospheric conditions such as weather, temperature, the wind, refractions, and unmodelled gravity effects. 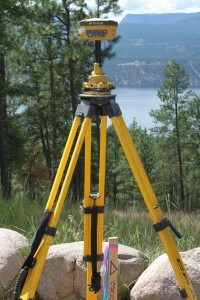 Instrument errors caused by imperfections in the constructions and adjustment of the surveying equipment being used. Human error’s caused by the inability of the survey technician to make exact observations due to limitations of human sight, touch, and hearing. Mistakes are sometimes called gross errors, but should not be classed at errors at all. They are blunders, often resulting from fatigue or an inexperienced surveyor. Because mistakes are typically large they are usually easy to spot and deal with. Systematic errors are defined as errors for which the magnitude and algebraic sign can be determined. The fact that these errors can be determined allows for the surveyor to calculate and then apply a correction to the measurement to reduce its effect. It is doubtful, however, whether the entire effect of the systematic error is ever entirely eliminated. Careful calibration of all equipment is an essential part of controlling and eliminating the systematic error. An example of systematic errors is the effect of temperature on a steel tape. If the temperature is warm the tape expands and the length of the tape increases, if the temperature is cold the steel tape shrinks and the length is reduced. Random errors are associated with the skills and vigilance of the surveyor. Random error is introduced into each measurement mainly because no human can perform perfectly. Random errors should be small and there is no procedure that will compensate for or reduce any one single error. Random errors, possibly due to sloppy work, also tend to cancel out giving the appearance of accurate work despite being highly inaccurate. For more than 20 years, Okanagan Survey & Design has specialized in providing professional, cost-effective technical solutions for projects. 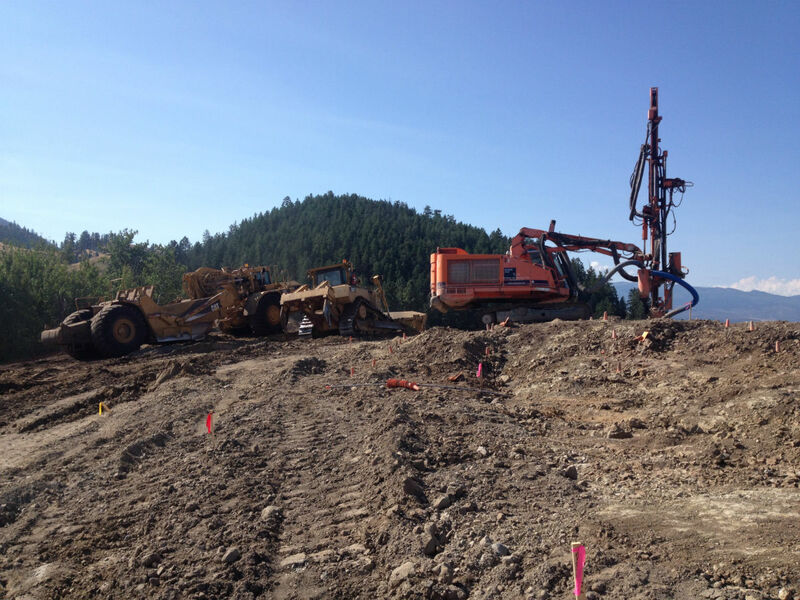 Okanagan Survey & Design provides construction and engineering surveying services only. Contact us with any questions about your project needs. Global Position Systems (GPS) are an indispensable tool for construction surveyors and land surveyors alike. GPS surveying may best be described as having 3 segments. The space segment, the control segment, and the user segment. The space segment consists of at least 24 satellites at an altitude of approximately 20,000 kilometer from the surface of the earth. The satellites are configured for optimal coverage so at least 4 satellites are visible at one time from any position on earth. The satellites contain extremely precise clocks that allow them to stay synchronized with other satellites and the ground control system. All satellite’s broadcast a unique PRN code (Pseudo Range Noise) that allows the user’s receiver on earth to make time based measurements to a satellite. The control segment consists of monitoring stations continuously tracking GPS at various locations throughout the world, and a master control station in the United States. The control stations transmit and receive data to and from the satellites. The control stations monitor performance, determine their orbits, model the atomic clock behaviour, and inject each satellite with their broadcast data. The user segment includes any equipment equipped with a GPS receiver capable of using GPS signals to determine positioning. In the basic mode the user’s receiver shifts a replica of the PRN code into alignment with the incoming signal from the satellites, and scaling their time shift by the speed of light to determine the distance to each satellite. You may see GPS systems at work throughout Kelowna doing topographic surveys, construction layout surveys, legal surveying, and land surveying. Construction surveying companies and Land Surveying companies alike provide surveying services to the private and public sectors. See below for a brief description of various types of surveyors. Do your research and decide what type of surveyor is best suited for your project. Each province in Canada has a self-governing association representing licensed Land Surveyors. British Columbia Land Surveyors (BCLS) is the designation used by Land Surveyors in BC. Only a commissioned Land Surveyor can determine, locate, define, describe establish or re-establish boundaries. Refer to the British Columbia Land Surveyors Act to determine if you require a British Columbia Land Surveyor. Only a Canada Lands Surveyor is licensed to carry out cadastral surveys on “Canada Lands”. “Canada Lands” include three Canadian territories (Yukon, Northwest Territories, and Nunavut), Federal parks, and Aboriginal reserves, as well as on and under the surface of Canada’s oceans. Refer to the Canada Lands Surveyors Act to determine if you require Canada Lands Surveyor. 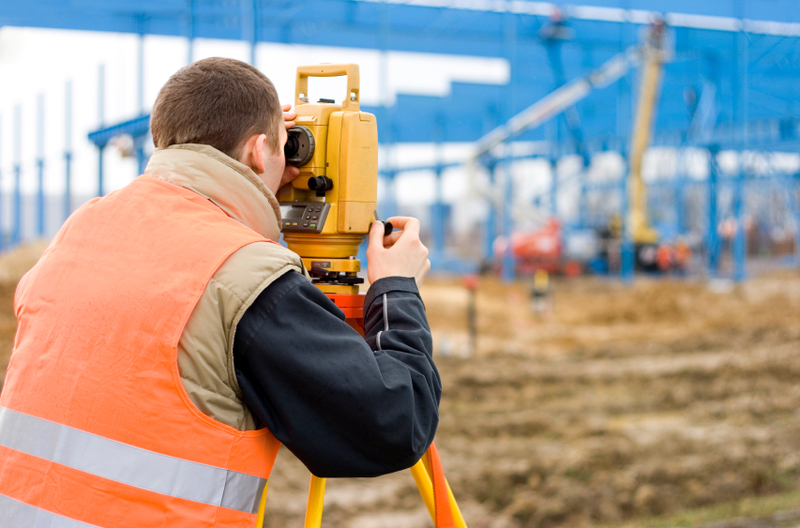 Construction Surveyors have varied educational backgrounds and experience which may include Land Surveyors specializing in construction surveying, Land Survey technicians, professional engineers, Geomatics technologists, GIS, Bachelor’s degree, or engineering technologists. Typically a Construction Surveyor has experience working for a Land Surveyor as a technician or a civil engineer as a designer, and has much field experience on construction sites. Typical services a construction surveyor provides includes construction layout or staking for infrastructure projects, building stakeouts, residential surveys, topography, volumetric surveys, and as built surveys. It is imperative a construction surveyor understands the engineering design elements and constructability as well as understating the survey component. Engineering surveyors provide surveying services to engineers, hydrologists, land owners, and businesses. 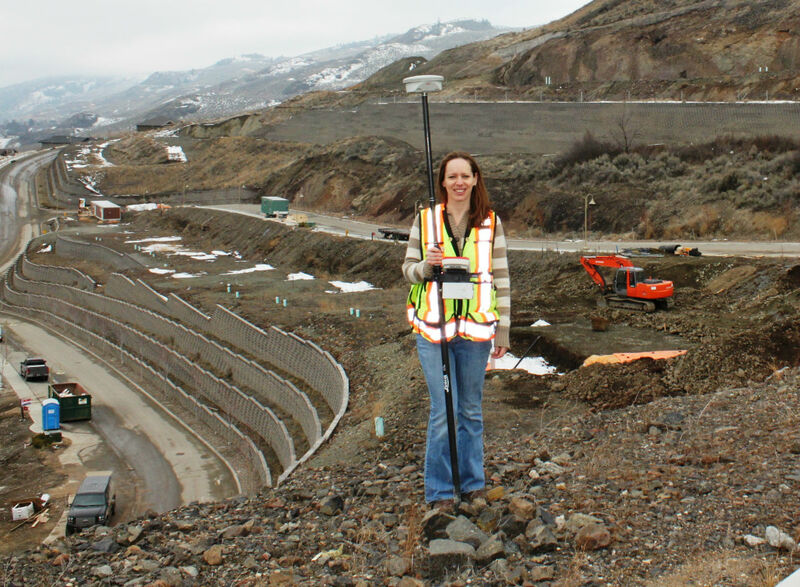 Services typically include topographic surveys, GIS mapping, Dam surveys, Dam Break Analysis Surveys, Bathymetry, channel surveying, deformation monitoring, test hole pickup, gravel pit volumetric surveys, and site plans for municipal permitting. Today’s building projects come with higher budgets and tighter timelines than ever before. 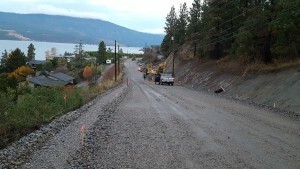 For example, the City of Kelowna has nearly $100 million in active construction projects in development at this time. That doesn’t account for the private projects currently underway. Staying on track and avoiding the domino effect leaves very little room for error when planning a new building project, and mistakes are very expensive! Avoiding costly errors requires proper advance planning to survey land and a thorough understanding of the landscape of the project. To understand why it’s essential to start every building project with one, let’s examine the top three reasons why a topographic survey is part of a sound design. Existing structures, like utility poles and other buildings for survey land, are easy enough to spot. But that’s only part of the story. It’s what’s going on beneath the surface that can quickly turn a quick building project into a lengthy, expensive one with delays. Taking the time to administer a thorough, professional topographical survey can help project managers avoid the (figurative) landmines that can crop up once construction is underway. Every project, large or small, involves a multi-disciplinary team of experts. Topographic surveys will be used by engineers, architects, and municipal officials, among other professionals, to ensure that stringent guidelines are met. 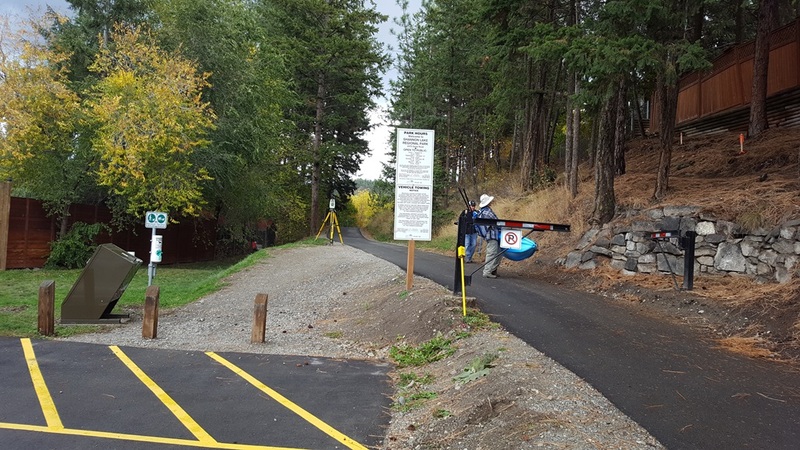 Starting with a topographic survey can save time and money by providing proof design metrics that are sound from the outset. The Okanagan, and indeed all of BC, is filled with natural beauty that it is our duty to protect. Though a topographic survey may not be explicitly outlined as a legal requirement, one will be required to make sure new projects are in line with provincial rules. For example, the BC Oil & Gas Commission has strict regulations regarding the placement of pipelines in relation to the water supply and other infrastructure. There is no way to comply with these regulations without a detailed, professional topographic survey. For more than 20 years, Okanagan Survey & Design has specialized in providing professional, cost-effective technical solutions for projects. Contact us with any questions about your project needs. Construction Surveying is the practice of working hands on with construction crews and guiding them through the construction phase of a project. Contractual documents, consulting engineer, or local bylaw may all have specifications that must be adhered to or the project may be rejected. To meet these requirements of the project various instruments may be employed for Construction Surveying including Total Stations, RTK GPS, Static GPS, Digital levels and terrestrial scanners. Tolerances vary greatly from 2mm on a bridge or building to 30mm on a road subgrade. It is the Construction Surveyors job to asses the task at hand and use the instruments and procedures that will meet the required accuracies with the highest efficiency. Construction Surveyors analyze, interpret, and implement engineering and architecture drawings into a form that construction crews can use in the field. Construction Surveyors are responsible for the layout of streets, highways, bridges, superstructures, buildings, manholes, pipe mainline, hydrants, catch basins, streetlights, and shallow utilities such as gas and electrical. We have even been hired to layout placement of trees and grapes in orchards and vineyards. Field layout typically includes leaving a nail or marker at the centre of a feature such as manhole or bridge abutment corner. The stake will also provide a geodetic elevation and a grade to set the feature to the proper elevations. Construction Surveyors also typically offset the construction feature so that construction crews can accurately place the feature once the centre is removed by excavation. It is also the Construction Surveyors job to protect and if necessary relocate horizontal and vertical control points throughout a construction project. 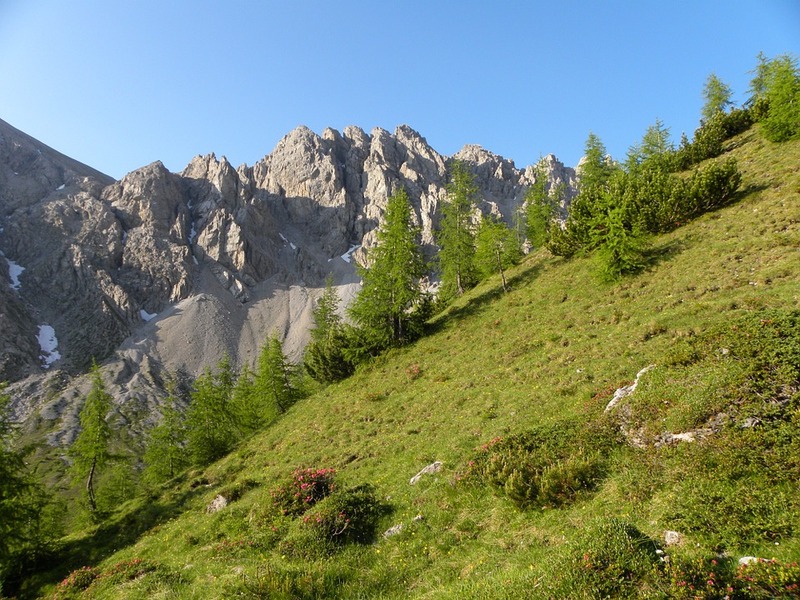 Most projects are designed based on a preliminary topographic survey and the same control must be used referenced throughout the duration of the project. Once construction is complete an as built survey is typically required and the Engineer will produce “As Constructed Drawings” to verify the project has been built to meet the requirements and specification’s.